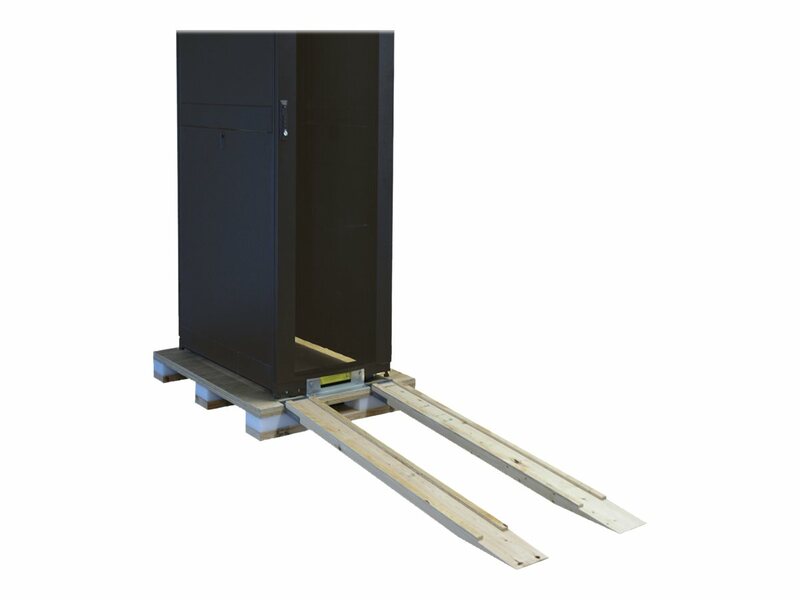 25U SmartRack Enclosure ships mounted on a special pallet that features additional reinforcement and shock-absorbing material. The pallet's protective cushion safeguards the enclosure and the precision components it contains during re-shipping. Reinforced pallets and reusable packaging provide the flexibility to fully configure rack enclosures in a centralized location and safely re-ship them to remote sites, saving significant service costs. They also allow the freedom to custom-configure enclosures with network and server hardware along with UPS systems, PDUs, KVM switches and a variety of other devices prior to final installation. 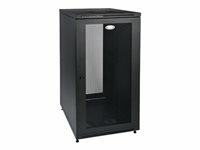 SmartRack enclosures are designed for secure, high density server and networking applications in IT environments. Designed with provisions to integrate cooling, power distribution and cable management, SmartRack enclosures make ideal homes for mission-critical equipment. Vendor-neutral square hole/cage nut mounting for guaranteed compatibility with all EIA-310-D compliant 19" equipment. Enclosures ship fully assembled for rapid deployment and roll into place on heavy-duty casters. Toolless mounting slots allow quick installation of PDUs and vertical cable managers. Adjustable mounting rails include an easy-view depth index to eliminate time-consuming measurements. Lightweight modular doors and side panels provide safe, convenient service access. Integrated baying tabs facilitate combining enclosures in rows for standard data center baying applications. SmartRack enclosures hold up to 3000 lbs and support cooling, cable management, power distribution and monitoring features that keep critical servers and network equipment operating nonstop. Perforated doors permit massive front to rear airflow that exceeds servers manufacturer requirements. 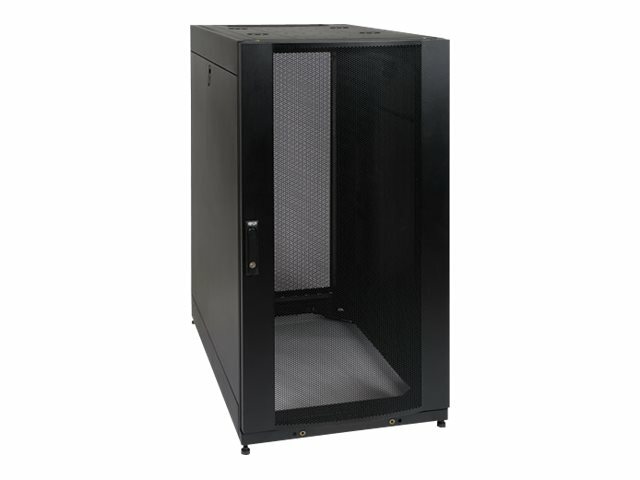 Enclosures are fully compatible with hot-aisle / cold-aisle data center configurations. Meets all enclosure requirements towards PCI DSS (Payment Card Industry Data Security Standard) compliance. Enclosures includes mounting hardware of 50 pieces of M6 cage nuts and 50 pieces of M6 screws. Locking removable side panels are 'half size' to make them smaller and lighter improving ease of installation and servicing. One side panel per side. Side panels are keyed alike to the front and rear doors.